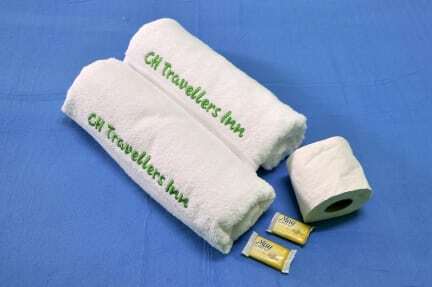 CH Travellers Inn is a newly opened hostel in Tanah Rata, Cameron Highlands, Pahang, Malaysia. CH Travellers Inn has clean, spacious, comfortable and well-furnished rooms decorated with lime-green walls, fragrant flowerpots, and artwork and photographs of the Cameron Highlands. Located just next to Maybank in Tanah Rata town. We have three type of rooms, basic room and standard room for two persons and family room for four persons. Our standard and family room attached with bathroom and balcony. Each of our rooms is kept clean, spacious and comfortable, so our guests always appreciate a safe, relaxing stay for an affordable price. the beds are super uncomfortable and the bathroom needs some getting used to but the owner is amazing which made it a bit better but in general there is much that could be improved. The location was great. The hostel itself was pretty damp and the toilet in our room didn't flush. The hot water heater wasn't working. Outside of our room was a one way street that was super noisy at all times of the day and night. Overall, I might try to find somewhere better later, but in a pinch, it would work. We were a group of 4 people renting the dorm (of 4 beds). Two of us arrived one day, and the other two the following day. The staff came to the room at midnight, when we were already sleeping, to awake us asking about when the other two where arriving exactly, and even entered the room opening with the key invading our privacy (even if it was a dorm, we booked the whole room). The bathroom wasn't particularly clean, neither were the bed linen. The room was very noisy. The WiFi was horrible. Me and my partner’s shoes were stolen from the public shoe rack while staying there. In fairness, the staff were very helpful and contacted the police and had CCTV footage of the corridor. We didn’t manage to get anywhere despite it being a local. The owner refunded us most of our money which was good but didn’t really cover the cost. The hostel itself was quite nice but just don’t leave anything lying around and make sure the doors are locked.